More about Lapuan Kankurit Kuusi Moss Green Tea Towel Whether you are in the kitchen or dining room during the holidays, the Lapuan Kankurit Kuusi Tea Towel will have your home cheering with the holiday spirit. 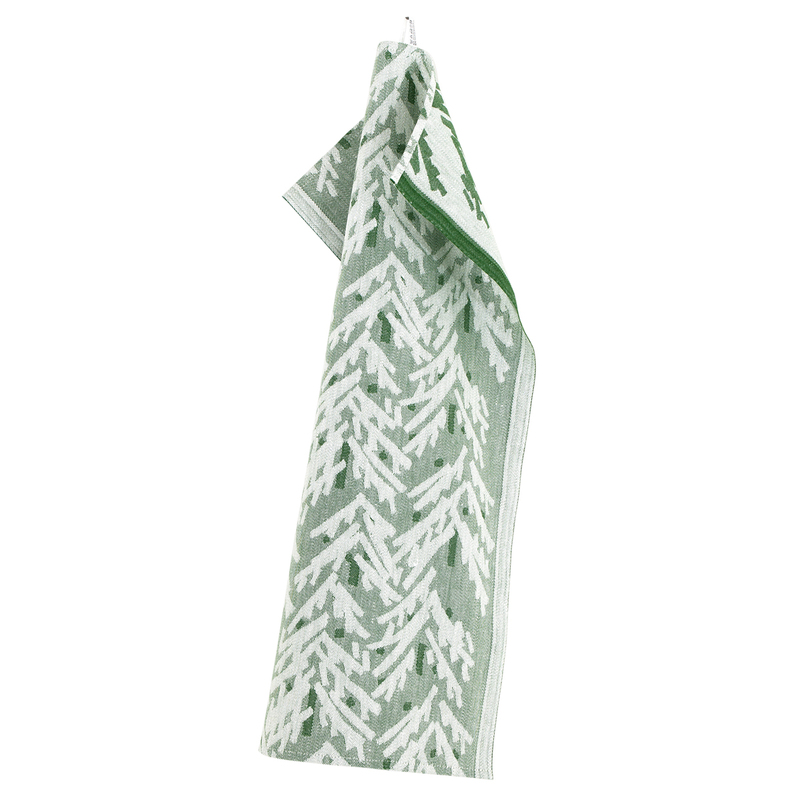 The modest yet inspiring pines pops refreshingly in white on the natural background of the cotton-linen blend fabric. With guests over for the holidays, you can feel proud knowing that this tea towel made in Finland by the only Scandinavian weaving mill with the European 'Master of Linen' seal of excellence. The fine materials and careful craftsmanship will be appreciated each time you use this linen and cotton cloth to dry dishes, cover warm pastries or set the table. This is a luxurious tea towel with a pleasing design. I had ordered a few as small thank you gifts and everyone absolutely loved the color and pattern of this kitchen towel. I already own several of Lapuan towels and they donâ€™t disappoint. 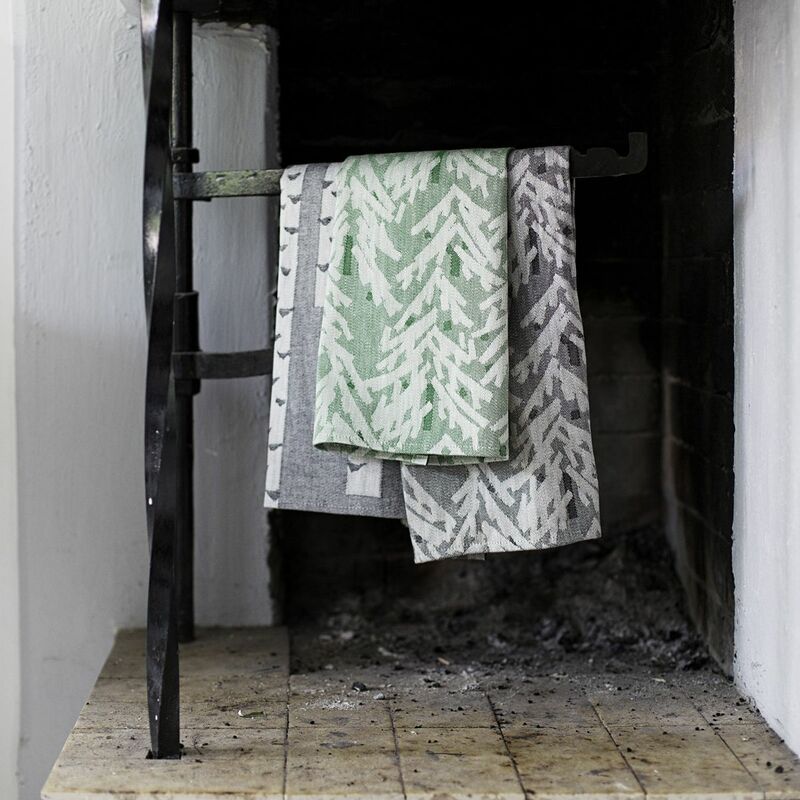 The tea towel is very beautiful having been woven in Finland. I love the design.